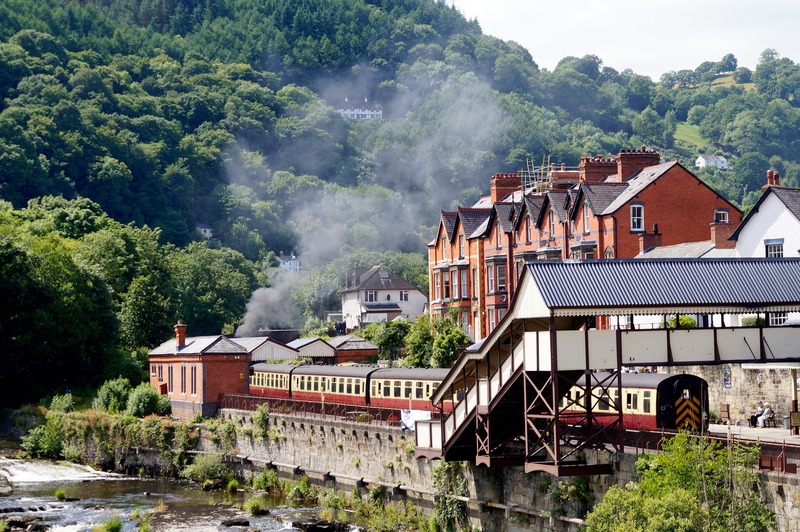 If you have decided to take a holiday in North Wales without a car, there is a fair chance that part of the reason is you are looking for a relaxing break in the beautiful surrounding countryside; to get back to nature, and as such, the area is particularly well set up for cyclists and walkers. With a degree of patience and a flexible itinerary, it is possible to explore the country by alternative means, rather than bringing your car. Even though Golden Gate Holiday Centre has many facilities and onsite attractions, many visitors like to venture off the park and visit the local area for alternative activities and days out. Some of the local beauty spots are within reach by using public transport, such as Conwy Water Gardens, Snowdonia mountain range, Pili Palas; plus other family attractions like The Welsh Mountain Zoo, Rhyl Sky Tower, The Sun Centre and Seaquarium also easily accessible. The Arriva Bus company runs several frequent services along the coast road from Llandudno to Prestatyn with the Saphhire Bus, No. 12 operating every 15 minutes, from Rhyl to Llandudno travelling via Colwyn Bay and Towyn. You can currently buy a Family Saver Day pass for up to 5 people, including a maximum of 2 adults. Normally costing £15 it’s currently on offer for the fee of £12. Between the months of May and September, you can travel aboard the open-top bus, every half hour, between Talacre, Presthaven Sands, Towyn and Pensarn. With a handy, local station at Abergele and Pensarn, you can use this as a base to travel all around Wales. Journeys to Rhyl take a matter of minutes and you can venture to Llandudno with a journey time of just 30 minutes. A return ticket costs just £6.70 per adult. Frequent travellers on the train can take advantage of concession tickets such as a Family Railcard offering up to 30% off ticket prices when travelling with a child or children over the age of 5, or a Senior Railcard for those aged 60 plus, also saving up to a third off ticket prices. If you want to venture further afield, consider purchasing an Explore Wales Pass, which allows you to travel over 8 consecutive days, including 4 days of train travel and 8 days of bus journeys. Current cost is £66 per adult, £33 per child or you can buy with a discount if you have any of the following Railcards: Family, Two Together, Disabled Persons, 16-25 or Senior Railcard. This will give you access to the beautiful Welsh countryside, villages and towns, and where the trains can’t take you; the buses usually have a route that will. If you don’t own your own cycle there are several static caravan parks in North Wales or outlets local to them, that will hire you a cycle for a few hours or for several days should you be feeling fit and adventurous. There are some amazing cycle routes around Conwy and the Snowdonia region to explore and you are also able to hire the correct equipment and clothing for your adventure. CogGogs, Carbon Monkey MTB and Coed y Brenin hire outlets are all in the local vicinity. If you require any further details on cycle hire, please ask at reception and we will be happy to help. Whether you decide to travel on foot, by bike, bus or train you can be sure that your days will be action-packed and fun filled, or as relaxed and peaceful as your mood dictates. Try Golden Gate Holiday Centre if you are thinking of taking a holiday in North Wales without a car. It’s a family orientated static caravan park where there is something for everyone to do either on-site or off.